Liao Na, the Vice President of Shanghai Ganglian Energy & Chemical Information Technology Co.,Ltd. (GL INFO) was invited to attend the “2018 China Private-owned Gas Station Development Conference” on July 20th, held in Nanjing, Jiangsu. Ms. Liao delivered a keynote speech on “The Impact of China Oil Market Changes on Gas Stations”. 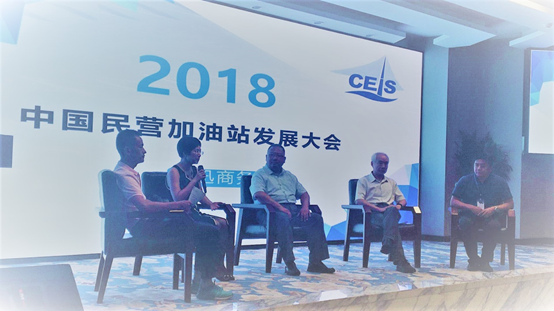 The conference also included discussions on operation management of ethanol gasoline market hosted by the Yantai Ceis Business Information Co.,Ltd. (CEIS). 2018 is an important year for China’s energy market reform. With the launch of the “Opinions of Central Committee of CPC and State Council on advancing the pricing mechanism reform”, and the issuance of “The implementation plan for expanding the biofuel ethanol production and promoting the ethanol gasoline for vehicle use”, the private-owned gas stations are facing a dual challenge from ethanol gasoline sales and gasoil/gasoline retail market liberation. What is the impact of the pricing mechanism reform to the market? The 2018 retailing margin has been severely suppressed after the introduction of the new policy on consumption tax. How can private-owned gas station survive in the future? Should owners of private gas stations adjust strategies to enhance competitiveness or sell the assets at the right timing? All of the above are also the general concerns expressed by the conference attendees. 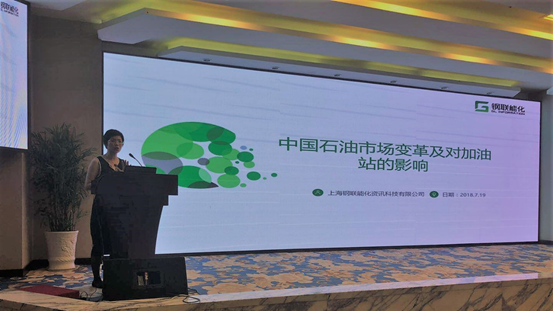 Starting with elaborations of three major trends, Ms. Liao expressed her views in the keynote speech on how private-owned gas stations should react to changing market environment with both opportunities and challenges. With the gradual market liberation, the competitiveness will no longer lie in sales channels and networks but in the effectiveness per gas station and margin per liter. How can private-owned gas stations find out their own advantages? Going digital to understand changes in consumption needs and behaviors is the unneglectable. Against the eco-friendly trend, requirements for environmental protection will become more stringent and the compliance costs will become inevitable. What’s more, Beijing’s fiscal measures have oil products suppliers compelled to implement the oil quality upgrades, such as taxation, resulting in increased procurement cost for gas stations. Enterprises are considering how to cope with the challenges brought by the internalization of the environmental cost and optimize the business model so as to secure margin. Thanks to the financializing tendency, enterprises can actively utilize financial channels and maintain a balanced financial portfolio. In the future, the improvement of competitiveness will no longer be achieved by buying resources at low prices to compete in the price war. Probably enterprises will tend to using financial tools to lock in profits and maximize them. We suggest enterprises shift its battlefield from 1.0 era to the 2.0 era by incorporating financial tools and IOT. Last but not least, Ms. Liao emphasized another non-negligible trend: the current digitalized platform economy. Enterprises can enhance competitiveness effectively by adopting ideas about internet.